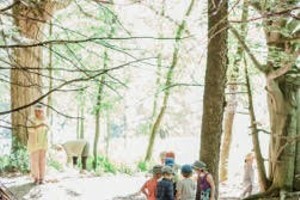 Home Base | Features | Kids VT - small people, big ideas! "They made an announcement at the end of a game that they were looking for host families for the last few weeks of the season," Tutt recalls in a recent phone conversation. "My son, who was 10 at the time, decided that we had to have a player live with us." Through the team's host-family program, they ended up inviting Puerto Rican pitcher Juan Rosado into their Essex Junction home for the remainder of that season. Tutt says her son, Jon Passaretti, and Rosado hit it off immediately. "They went everywhere together," she says. "They connected right away." That's a good thing, considering the two shared a bunk bed in Passaretti's room. "Jon slept on the top bunk and Juan slept on the bottom bunk," says Tutt. "It was like having a big brother," says Passaretti from his home in North Carolina. For the 19 seasons since, Tutt and her husband, Mike Tutt, have continued to host players from Vermont's minor-league baseball team — first called the Vermont Expos, now the Vermont Lake Monsters. Though the players are technically pros, they don't get paid much, and they hail from as far away as Central America and the Caribbean. They need local housing for the summer. Host families get free tickets to games and a stipend to cover food costs, among other modest benefits. The players get food, shelter and, on occasion, a lift to the ballpark. But as the Tutts' experience shows, hosting players is about more than just giving them a place to crash. Brian Pine and his family have housed eight Lake Monsters players in their Burlington home over the past six years. "It's really neat to have someone added in to your family," says Pine. "They become interwoven into your life and your kids' lives, too." "They both love the game," says Pine. "Like any kids, they dream about what it would be like if you stay with it and get good and play professionally." This year, the Pines are hosting Herschel "Boog" Powell, an outfielder from Mission Viejo, Calif. The 20-year-old spent a year in junior college in California before going pro but had otherwise never been away from home, let alone across the country to Vermont. "Burlington is pretty different from home," Powell says from the living room of the Pines' house in the Old North End. "But it's an awesome place." "I'm rarely in my room unless I'm going to bed," Powell says of his sparse but comfortable second-floor bedroom. "I'm usually down here hanging out with Eli and Austin." Austin plays American Legion baseball, a competitive level after high school. Powell says he gives the older Pine boy baseball pointers on occasion, but since they're closer in age, their conversations mostly revolve around bigger topics. "We talk more about life in general," says Powell. "Since he'll be going next year, we talk about college a lot, what to do, what not to do." By nature, the lifestyle of a minor-league baseball player is one of uncertainty; most will never make it to the majors. At any moment, a player could learn that he has been demoted, cut or traded — there are likely more than a few "players to be named later" on any given Vermont roster. That's pressure enough for anyone, especially ball players who are practically still kids themselves. Many of them, like Powell, are away from their families for the first time, so having a place to call home is critical. "The Pines have made it so I don't get homesick," says Powell. "They act like they're my family." According to Lake Monsters representative Kate Echo, the team's housing model is employed by most lower-level minor-league franchises, from rookie ball to high Single-A. "It is a pretty standard practice across the board," she says in a recent phone call. Echo has been the Lake Monsters' merchandise and accounting manager for four years, and also oversees the host-family program. With Freda Tutt's help, Echo coordinates the placement of the team's 30 players — this year into 18 households. She generally advises host families to take in more than one player at a time. "It gives the other guy a buddy," she says, "someone to hang out with. It's a little less awkward." "That was a little crazy," Tutt admits. "Those guys can eat a lot of food." The players "need a space they can go to and get away, get a good night's sleep and be at their best to perform," says Echo. Echo notes that the Lake Monsters don't do background checks on either the players or the families, noting the team has never had a problem with safety. She explains that a variety of factors determine where she places the players, including which ones have cars and, in the case of foreign players, fluency in English. "You get a mixed bag of guys who can speak English really well, some who can speak it a little and some who can't at all," says Echo. "We try to reach out to as many people as we can in the community that speak Spanish, which is a little difficult in this area." "My wife speaks some Spanish," he says. "But [the language barrier] was always a challenge, because you want the players to feel comfortable. And you want something a little bit more for you and your family, too. It's not just about getting a free ticket [to the games]." Mike Trombley sees other intangible benefits from hosting Lake Monsters players. He and his family have been participating in the hosting program for four years. He says that having professional players in his South Burlington home has been a good learning experience for his kids: 14-year-old Jake and Emma, 11. "Everyone is given a gift," he says, referring to the players' baseball skills. "But you still have to work hard at that gift, which is good for my kids to see." "He comes home and plays catch with my son," he says. "That's pretty special. How many kids can say they play catch with a professional baseball player?" He adds that his daughter, whom he describes as "terrified of any sport with a ball," has taken an interest in baseball since Wolfe arrived. "It makes it special for her to go to a game and have someone to root for," he says. The Tutts, Pines and Trombleys stay in touch with most of the players they've hosted and keep track of their progress. "I've been to weddings, I get birth announcements," says Freda Tutt, who refers to her players as "host sons." She adds that one of them calls her every Mother's Day. Of the three families, only the Tutts have had a player reach the major leagues: all-star outfielder Jason Bay, who played with the Vermont Expos in 2000. Bay is now with the Seattle Mariners after playing with the Boston Red Sox from 2008 to '09 and the New York Mets from 2010 to '12. The Tutts also hosted a Lake Monsters coach, Rick Eckstein, who went on to become a hitting coach with the Washington Nationals. Tutt takes pride in being "just one stop along the way" for her players — and the occasional coach — and will often tweet about their progress, in baseball and other things. "I follow their baseball careers," she says. "And when they're no longer in baseball, I follow their new careers." Tutt points out that, when she first signed up to host players, she did it for her son. "I thought it would be a great way to give him a strong role model," she says. "As the years went on, and my son grew up, it became more about giving these guys an opportunity not to have to worry about anything other than playing baseball, to give them a safe place to come home and eat dinner," she continues. "I always thought that if my son was away from home like they are, I would want someone watching out for my kid, too." For more info on the Vermont Lake Monsters host family program, contact Kate Echo at kate@vermontlakemonsters.com.